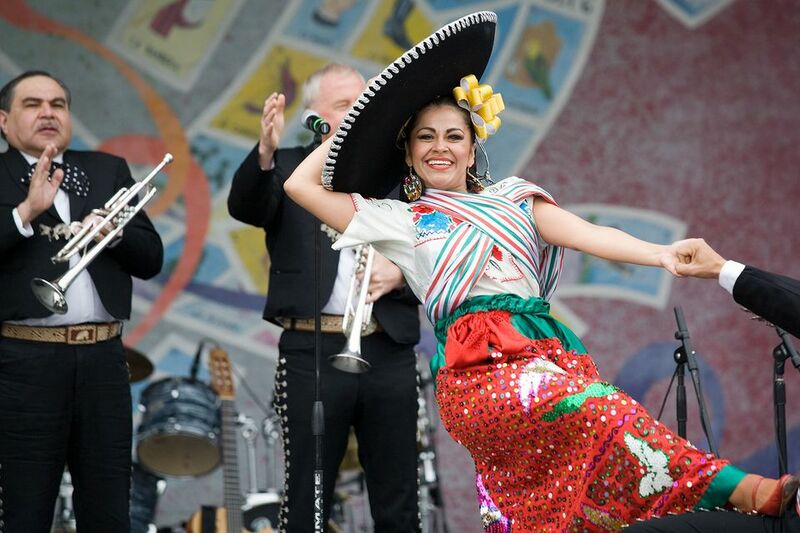 The National Cinco de Mayo Festival in Washington, DC is a celebration featuring live music and dance, children’s arts and crafts workshops, food, games and activities for the entire family. Although originally Mexican in origin, the Cinco de Mayo Festival has become a larger “Latin American Family Reunion” on the National Mall. The Festival is free and open to all. It will be held rain or shine. The annual festival is an opportunity to explore the rich history, culture and ethnic diversity that is the foundation of Latin Americans in the United States. As the region’s Latino community has grown, the festival has also grown in size and scope. The Washington DC Cinco de Mayo Festival is hosted by the Maru Montero Dance Company. Sylvan Theater at the base of the Washington Monument, 15th Street and Independence Avenue SW. Washington DC. The closest Metro station is Smithsonian. The Latin dance company performs Mexican folk, cha-cha, mambo, salsa, tango and many other dances from Latin America. The company, founded by former Ballet Folklórico de México lead dancer Maru Montero, is a non-profit 501(c)3 corporation dedicated to promoting the joy and beauty of Latin culture in the United States. MMDC performs at various venues around the district and offers a wide selection of Latin American dance programs. Visit www.marumontero.com for more information.